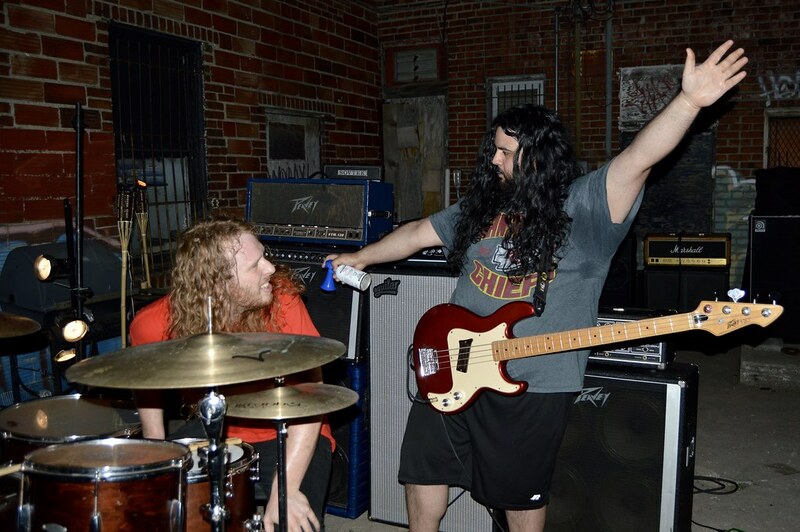 Local long-hair rockers Bummer just returned from a regional tour with Texas band Pinko. The boys celebrated their arrival in Kansas City with a free show in the alley of Mercy Seat Tattoo on a Friday night that included tiki torch smoke, BBQ grill smoke, airhorn noises, and an excellent Marilyn Manson cover. Bummer was joined by Dodecad and Coward.